Governance Matters...on Solvency II: Solvency II Delegated Acts - Grinched by EU Parliament? 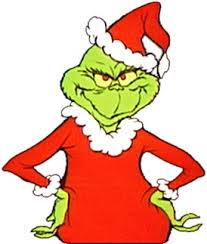 Solvency II Delegated Acts - Grinched by EU Parliament? Short and sweet - the expected promenade facile of the Delegated Acts through the EU Parliament and EU Council, which looked certain up to a few days ago (p16 here and here), has apparently come to a shuddering halt due to the intervention of Parliament. This document published on the Parliament's website today appears to have made the timeline-followers worst nightmares come true, namely that an additional 3 months of delay on the Delegated Act sign-off may prevent some of the "...from 1st April 2015" approvals from being written into law by, well, the 1st April 2015! As yet I have seen or heard nothing on the matter in the mainstream media, but given how annoyed Sven Giegold appeared to be when the Acts were tabled, it shouldn't be too much of a surprise that some flabby parliamentary procedure exists that allows for the (presumably positive) opinion of ECON to be overriden when it came to clearing the document through Parliament's main hall. Naturally, Herr Giegold's name is on the front cover of the motion, but I can't seem to establish whether an additional 3 month delay is a fait accompli, given my lack of knowledge on Parliamentary procedure. I believe the Greens alone certainly constitute "...a political group or at least 40 Members", so they certainly have enough bulk to put this on the table at next week's Plenary (Wednesday by the looks of it), but I imagine having enough pals to table this resolution is not the same as having enough to pass it!